Everybody knows that prenatal vitamins are important to take during pregnancy, but what about before pregnancy, during pre-conception care? 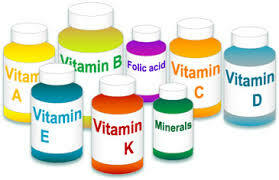 Most doctors will encourage women to take the prenatal vitamin for sometimes up to a year before a desired pregnancy. But what if you had a genetic mutation that kept you from processing the folic acid in prenatal vitamins? This genetic defect can lead to unexplained infertility, elevated homocysteine levels, miscarriages, a child with Down Syndrome or development of Autism, preeclampsia, postpartum depression, or even the development of chronic depression. The defect is known as MTHFR (Methylenetetrahydrofolate reductase), the gene MTHFR C677T. This gene resides in every cell in the body, and is responsible for utilizing folic acid & producing the most active form of folate (called methylfolate). People with the variant MTHFR C667T have a 40 – 60% decreased ability to produce methylfolate. Methylfolate starts many critical enzymatic reactions, affecting one’s ability to produce a compound called SAMe, which it needs to produce CoQ10, carnitine and creatine, all needed for reproduction. The MTHFR defect elevates homocysteine and this contributes to miscarriages, and other reproductive challenges. So what to do if you have been struggling to conceive or are experiencing miscarriages? Test for MTHFR with your OB/GYN or RE. Make sure you are getting plenty of organic, leafy, dark greens (both cooked & uncooked) in your diet, and switch to a prenatal that has the bioavailability of folic acid in it so that you are covering your bases. Talk to your OB/GYN, RE, nutritionist, naturopath or doctor of acupuncture & Chinese Medicine to set you up with the supplementation that can help you conceive more easily.